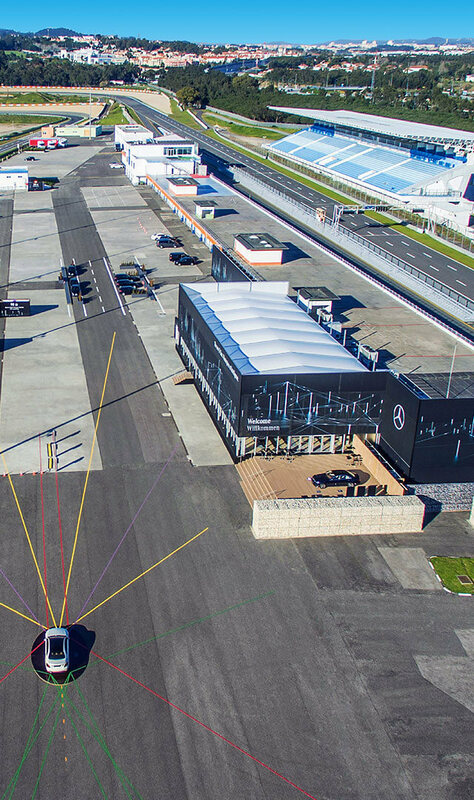 The world premiere of the Mercedes-Benz E-Class marked the start of a whole new chapter in autonomous mobility, its connected systems making it a “Masterpiece of Intelligence”. Journalists and bloggers from all over the world were invited to test these features in detail. 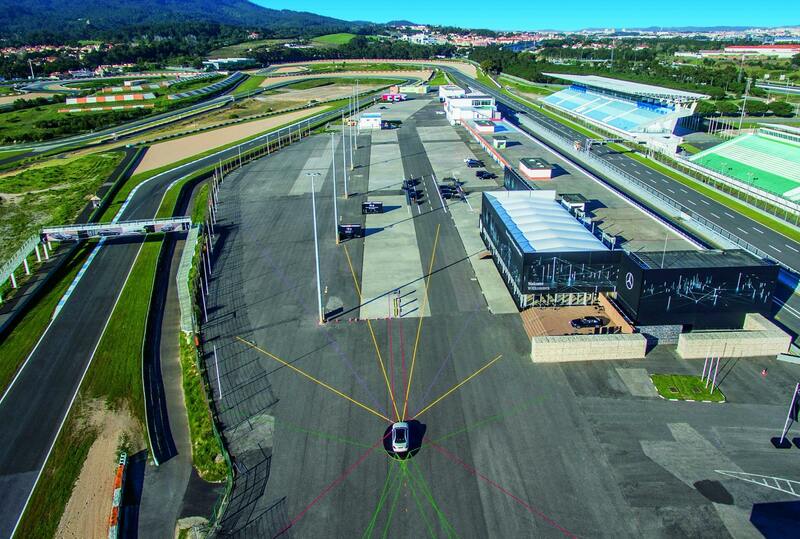 The former Formula 1 track in Estoril, Portugal offered the ideal prerequisites for exactly that – aside from the need for extensive optimizations to the existing building. The project was a major challenge for OSK’s architecture team. 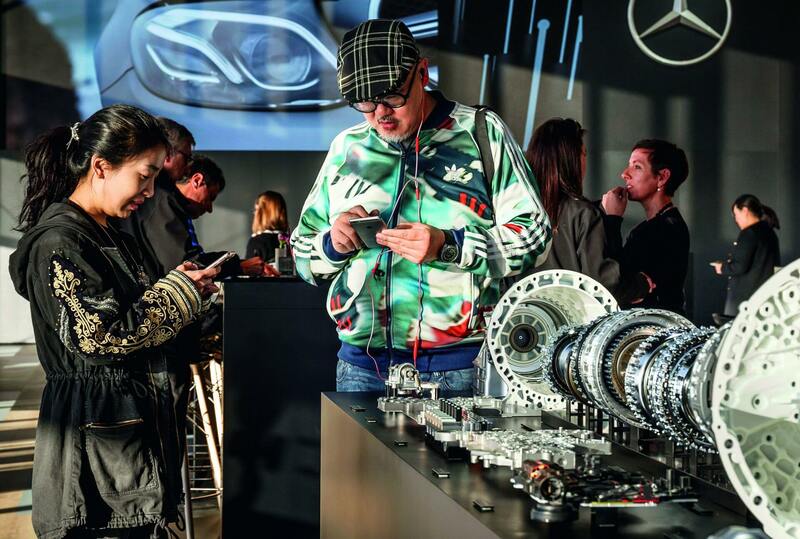 Although the test drives with the E-Class were obviously the focus of the event, it was also important for the guests to feel at home within an overall Mercedes-Benz brand world. However, the existing building at the track proved too small and too unattractive to facilitate a fitting presentation. So, OSK designed a temporary extension, whereby the old and the new merged perfectly into one when OSK’s architects clad the different facades with a specially produced fabric. 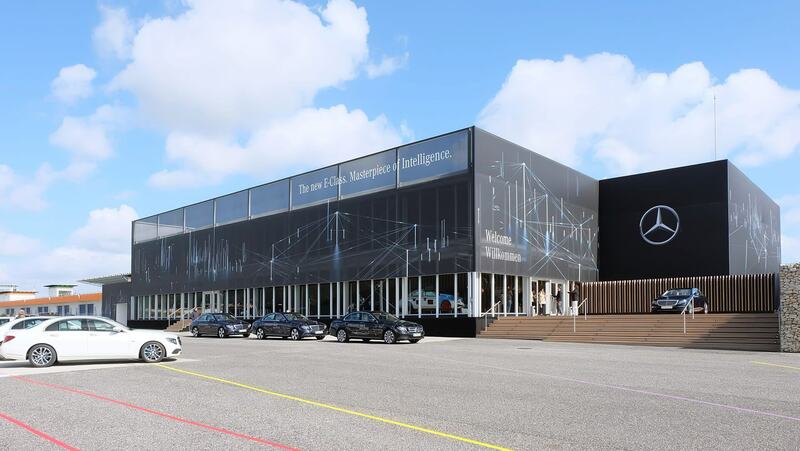 The result was an elegant, black pavilion in the Mercedes-Benz design, which served to receive the guests and offered plenty of space for reception, presentations and exhibitions, including workspaces and a restaurant. Inside, the newbuild offered a pleasant atmosphere on 750 square meters of floor space with 8-meter ceilings. 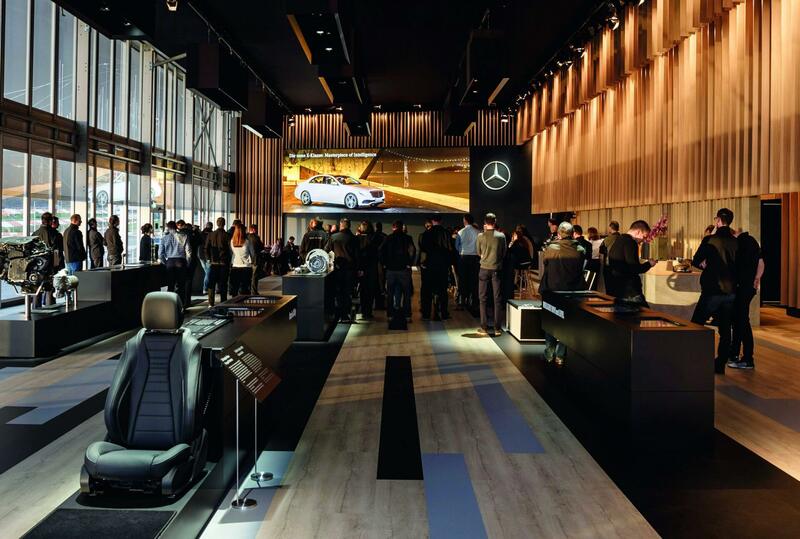 The wall facing the entrance was dominated by a giant LED projection surface measuring almost 24 square meters for presenting videos containing information on the new E-Class. 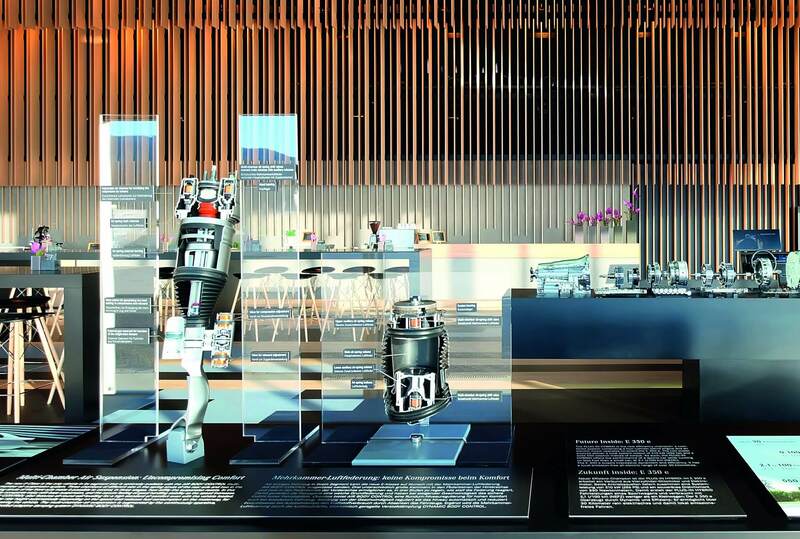 Also integrated into the space were exhibits explaining the E-Class’s new technology. 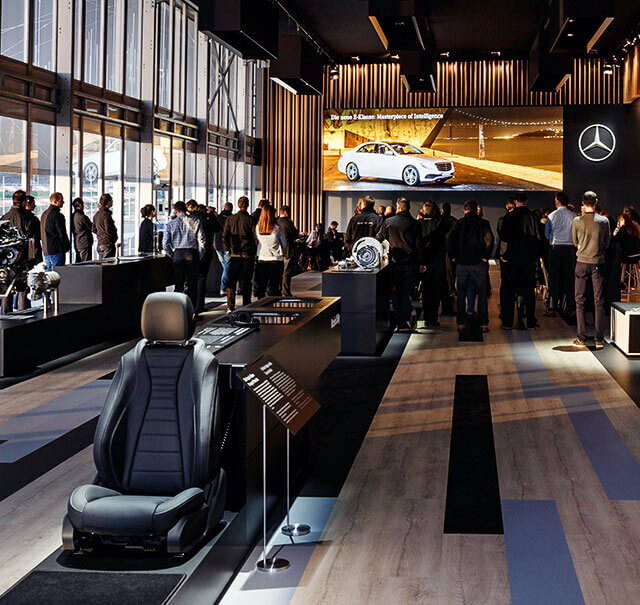 Anyone wanting to dive deeper into the details could talk to Mercedes experts in purpose-built conference rooms. The pavilion also proved an ideal retreat for taking short breaks and talking shop, while the building’s long wall offered a clear view of the race track and test cars. The pavilion’s slightly transparent façade fabric effectively retained the panoramic view, while ensuring the interior didn’t get too hot. And finally, the elegant outer skin was also an ideal surface for graphic design and for conveying the key E-Class message: “Masterpiece of Intelligence”.